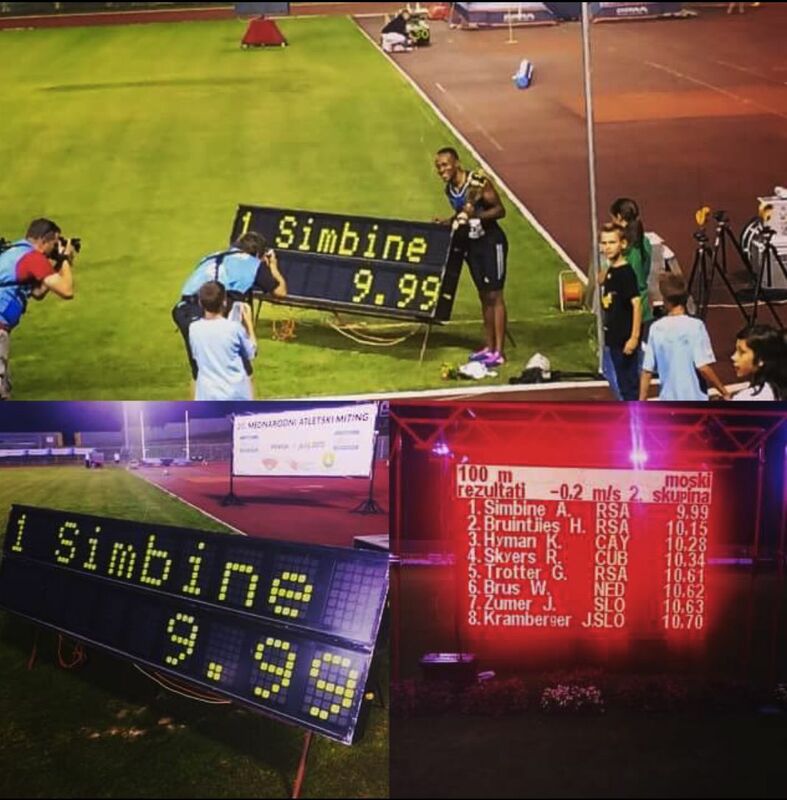 At the Miners Day Classic Meeting sub 10 was registered by Akani Simbine clocked 9.99 sec with -0.2 wind over his team-mate Henricho Bruintjies. 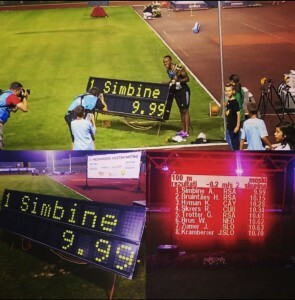 Simbine is only 0.001 sec off the 9.98 sec South African record Simon Magakwe posted last year in Pretoria. This new PB also ranks him in the top 21 in the world this year. He will leave tomorrow his base in Italy for the World Students in Korea. a new PB in 800m 1:45.40 sec for Rynardt Van Rensburg, who placed himself in a 2nd position behind Amel Tuka 1:44.19 sec. second position also for Justine Palframan 23.36 sec in 200m with -0.3 of wind.